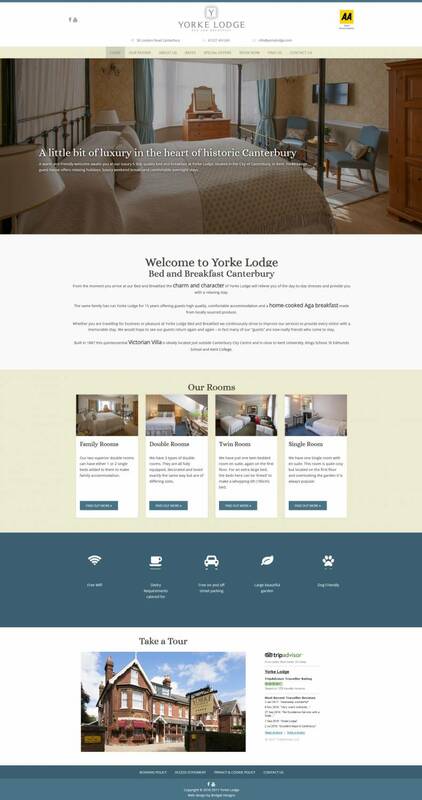 Yorke Lodge is a luxury Bed & Breakfast in the heart of Canterbury. They were looking for redesign of their out dated website that made the most of the beautiful interior and elegant Victorian style of the building. The design needed to appeal across the board, but in particular to old guests, looking for peace and quiet and a luxurious experience. Working with a soft, vintage style colour palette and featuring their beautiful photography heavily, the website show the beautiful interior off to its best with a simple, initiative design to make it easy to find the perfect room for your stay.